Historical optimization can improve your blogging strategy while saving company time & creative energy. Here are tips to optimize old content for a new purpose. For many organizations, the art of blogging regularly can be a daunting task. Even if you know a blog is important, it can still be difficult to find the time week after week to come up with new blog topics, especially if writing doesn’t come naturally for you. Even as a writer myself, I often struggle to come up with meaningful content to present to readers at times. Well, the good news is there is a solution! You’ve heard it said: “Out with the old, in with the new.” Well, digital strategy trends are starting to suggest the opposite. A tactic known as historical optimization may be the answer to improving your website traffic while freeing you from the endless cycle of blog writing. So what is this magical solution, you ask? 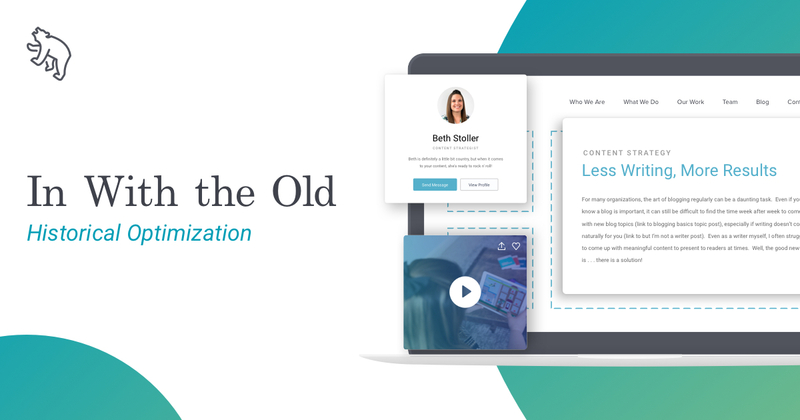 Well, HubSpot defines historical optimization as optimizing your “old” blog content so it's fresh, up-to-date, and has the ability to generate even more traffic and conversions than it already does. Essentially, historical optimization allows you to build upon the blog content that you already have in place, so that you can stress less about creating new blog content on a weekly basis. A tactic known as historical optimization may be the answer to improving your website traffic while freeing you from the endless cycle of blog writing. Don’t get me wrong, new blog content is still important. In fact, it’s necessary to have a pool of “old” blog content to choose from before you can even consider historical optimization. But writing that new content is a lot more satisfying when you know that it is going to be used to generate new website traffic for years to come rather than just a few days. And that’s exactly what historical optimization does! In fact, HubSpot themselves reported that historical optimization alone doubled the number of monthly leads generated by old posts and that 92% of their monthly blog leads came from “old” posts. Looking at blogging through this lens means that any new post you write is not just for generating traffic now, but also an investment in future optimization efforts. Writing new content is a lot more satisfying when you know that it is going to be used to generate new website traffic for years to come rather than just a few days. Do your research. Dig into your analytics to determine what historical blog posts are generating the most traffic. These high-performing posts will be the ones that you will want to optimize first since they are receiving the most views already. Rethink your title. 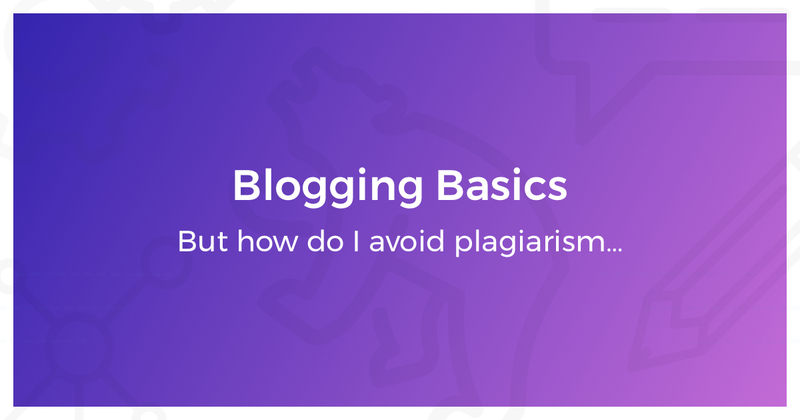 The title of a blog post can often be the most challenging part. 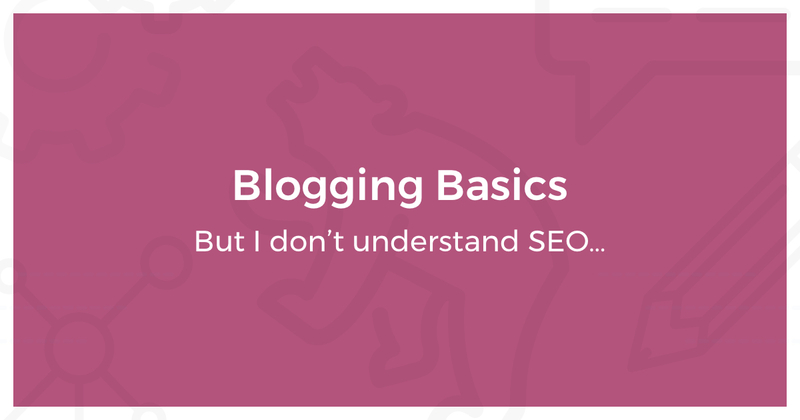 Take a hard look at your blog’s title and see if you can incorporate new, relevant keywords. You will also want to consider what sort of title would be most likely to generate a click from your audience. Replacing a title like “Soil Acidity and Composition” with “10 Tips for a Better Garden” may make all the difference when it comes to garnering clicks. Note: if updating the URL to match the new title, be sure you add a 301 Redirect from the old URL to this new one. You don’t want to lose any website visitors to a broken link that might still be lingering out there, and a redirect will ensure a smooth transition. Review for accuracy. Reading a post after time has passed gives you a fresh set of eyes to see any grammatical errors that may have been missed. It also gives you the chance to make necessary updates to things like broken links, products that are no longer offered, changes brought about by new technology or legislation, cultural references that are no longer relevant, etc. Think like a reader. Re-read your blog post and ask yourself if there is any other information that a reader may find helpful that you left out the first time around—or better yet, have someone else read it and list out any questions that they still have. Maybe you used a lot of technical words that could have used more explanation. Maybe you forgot to talk about a key aspect to your overall topic. Your post is meant to help your reader feel fully informed, so the more you can teach them the better. Create a web of links. You can’t always cover all of the information that a reader may want to know within the confines of a single post, so it’s important to leverage links to help the reader continue along their path to knowledge. Linking to other related posts that you have written will build credibility and trust and will make you the expert in the mind of the reader. Update the timestamp. Once you feel that your blog post has been fully optimized, make sure to update the publish date. This will bring your post back to the forefront so that readers can get the full benefit of the new content that you have provided for them. Share the wealth. You may be hesitant to promote the same blog post more than once, but don’t be! As long as you are allowing ample time between the original post and your optimization, there are sure to be new readers that missed your post the first time around. Not only that, but the goal of historical optimization is to provide a new, fresh take on old content, so if you’re doing it correctly readers would still be happy to read it again for your new insights. So the next time you find yourself tight on time and short on ideas, get optimizing! Not only is it better than doing nothing, but it could even be more beneficial than a brand new post. 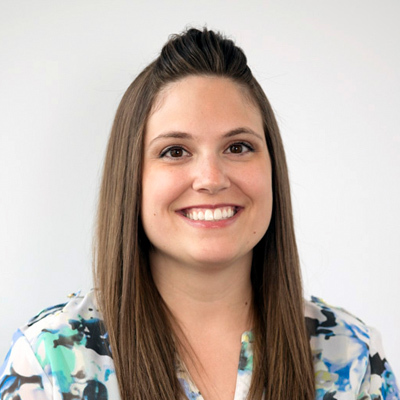 For even more tips on historical optimization, check out one of our “old posts” or contact one of Reusser Design’s expert digital strategists for help in getting started.